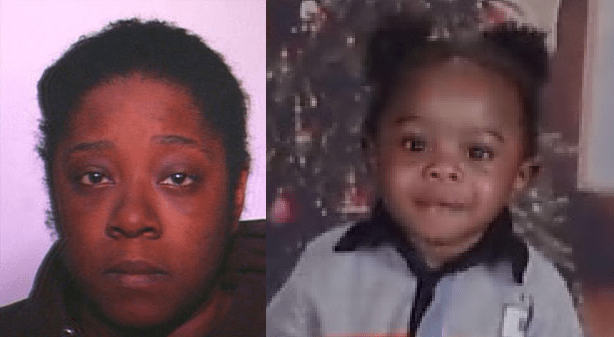 Two children—Kierra King, born in 2000, and Jeziah King (right), born in 2007—were physically abused by their mother, Latisha Lawson (left). Kierra was homeschooled. Lawson lived with the children’s father, Lawrence King, until October 2009. After they broke up, she moved in with her friend Natasha Hawkins and Hawkins’ three children. At this time Lawson began homeschooling Kierra and beating her with a belt and extension cords; she also became convinced that Jeziah and the other children were possessed by demons. In November 2009, Lawson forced all five children to undergo an exorcism ritual whereby they had to ingest olive oil and vinegar. When Jeziah refused, Lawson murdered him by suffocating him. She then kept his body in her bed for about a month and continued to leave him unburied for approximately one year. During this time Kierra was sometimes forced to touch his body as punishment. The murder came to light after Lawson had moved out of Hawkins’ home, taking Jeziah’s body with her in a plastic bin. In December 2010, police officers performed a welfare check in Hawkins’ home and Hawkins revealed that Jeziah had been murdered. The police then located Lawson, who confessed. She was found guilty of murder, neglect of a dependent, and battery. She was sentenced to 61 years in prison.